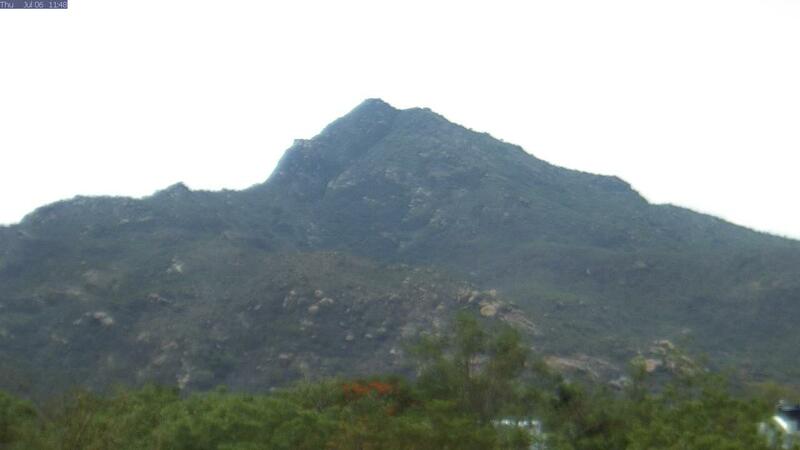 In the effort to bring the living presence of the Hill to those who would otherwise not be able to see the many moods of Arunachala and provide devotees world-wide with a live image of the Sacred Mountain, we offer the opportunity for viewers to assist us in this service to devotees. Advanced imaging and operating technologies are used to provide quality images and reliable service. However, operation and maintenance costs continue to increase. Cameras need to be replaced every few years as they must withstand the south Indian climate as well as the wildlife that often takes an interest. In order to insure the continued operation and development of Arunachala-live and avoid commercial advertising, we request devotees to assist us by helping with the ongoing expense. Unlike most websites where the costs involved, (except for server hosting), are mostly complete once the site is online , Arunachala-live also requires physical maintenance of Cameras, Backup Power supply, Routers, cables, a location and the physical infrastructure that allows us to reliably upload new images every 60 seconds. We feel it is important to continue this service for the many who appreciate the opportunity to see Arunachala in this way. However, we can only guarantee the reliable and continued operation of this free service if we receive viewer support. If you would like to be a sponsor and contribute through Paypal, please click on the button below. It will take you to the Paypal website where you will see the Arunachala-live support entry.